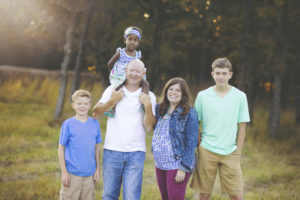 Empowering Adoptive Moms to live a life they love in the middle of their "what ifs"
I’m Kelli . I’m a mom of 3 and wife of 21 years. I love travel and you can usually find me with my family, chasing basketball and fishing dreams ( not mine ,haha) or a toddler who may never survive potty training. 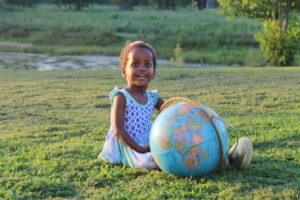 Our adoption journey to adopt our daughter from Ethiopia took 7 years from the time we filled out our first piece of adoption paperwork until we walked through the doors of our home with our daughter. And not one second of those 7 years were anything like I envisioned. Those 7 years changed me, defined me and broke me. At the end of my wait and the beginning of the new journey in motherhood I no longer recognized myself. I wondered if I would ever be the girl I was before. Thankfully I am not. But it wasn’t always “thankfully”, there were lots of “groaning and gnashing of teeth” to get to the place where I am thankful. It wasn’t just the wait that defined me but for many years I let loss define me. After losing my mom, my grandma, and my best friend in those 7 years I struggled seeing anything outside of the lense of loss. My personal growth journey has taught me that I may not be in control of the things that happen to me but I am in charge of my happiness. And it can’t be left to chance. Yours can’t be either. 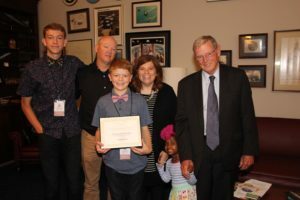 I like to think of adoption as a marathon that doesn’t even start until your child is home. Shocking huh? I wish someone had given me the training manual for getting myself in shape to run the race well. Limping across the waiting finish line into the race of parenting is not the best game plan….go figure . I’m passionate about equipping adoptive mamas with what they need to be happy right where they are. Chances are as an adoptive mom you have your own story of loss and are floundering with a bunch of “feelings” you don’t know how to reconcile. Along your journey you probably find yourself longing for community with those who “get you” and who just know what it’s like for your life to hang in limbo while nothing is in your control. You’ve experienced feelings of loneliness, excitement, fear, love all at the same time and you wonder if you really have what it takes to do this……or if you should quit. And I see you mama. You are a warrior at heart and I’m committed to YOUR journey of hope in the wait or at home in the trenches . In need of hope , Grab my Top 10 quotes for inspiring hope. © 2019 Kelli Belt. All rights reserved.